The building that houses Lansdowne Club on Berkley Square has nearly 250 years of history. Lansdowne House was designed by Robert Adam in the 18th century. The building originated as Lord Bute’s residence in 1761 but has since undergone several changes. 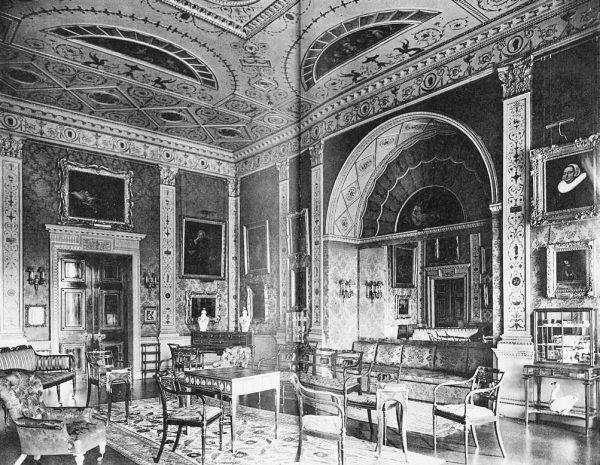 Adam’s First Drawing Room and Great Eating Room have been dismantled and sent for permanent display at the Philadelphia Museum of Art and the Metropolitan Museum respectively. The Lansdowne Club is housed in this building since 1935. 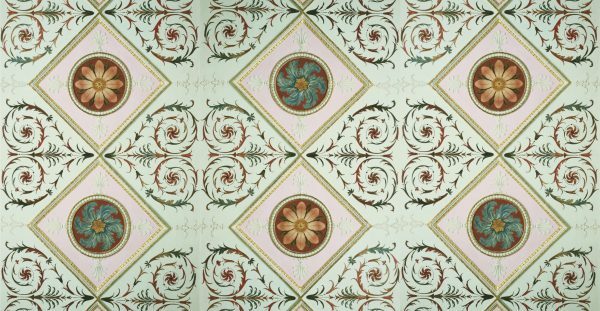 Today some of Adam’s rooms and features remain in the building and are complemented by later architectural interventions from George Dance the Younger, T.H. Wyatt and Art Deco features from the 1930s. 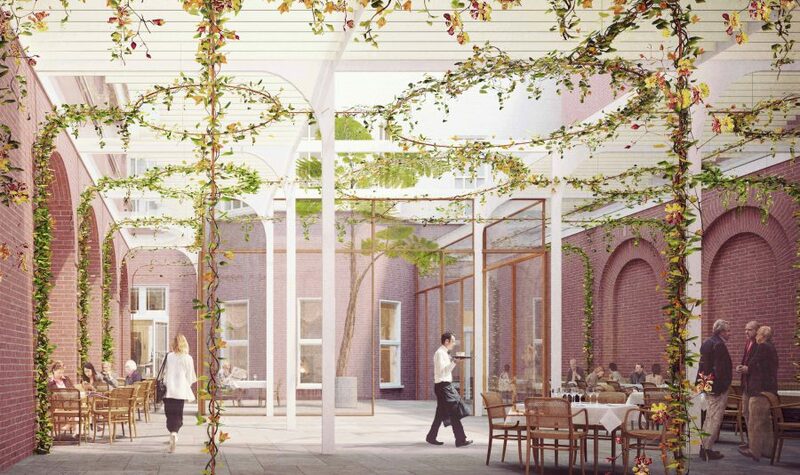 The brief for the Lansdowne Club Courtyard Design Competition asked for the redesign of the building’s central courtyard as a focal point for the Club’s members and a new layer of architectural heritage, set among its unique suite of distinguished and historic rooms. 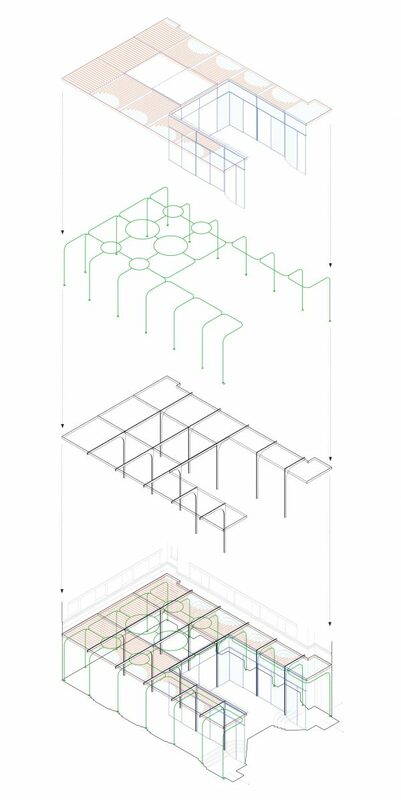 a modular grid of glazed panels, leaving the space in front of the Round Room entirely open to the sky. Two of the central roof panels are retractable, stacking against the southwestern wall. When fully open, they create an uninterrupted courtyard, central to the life of the Club. A layer of slim fins is added below the glass roof panels to assist the acoustic and day lighting performance of the space, effectively absorbing noise and reflections. The fins are rhythmically aligned and leave four half circles on each long side of the courtyard totally free. These half-circled areas of the roof allow daylight to wash the space of the courtyard and penetrate deep into the Long Gallery. They make reference to the half circles often used in Adam’s architecture. 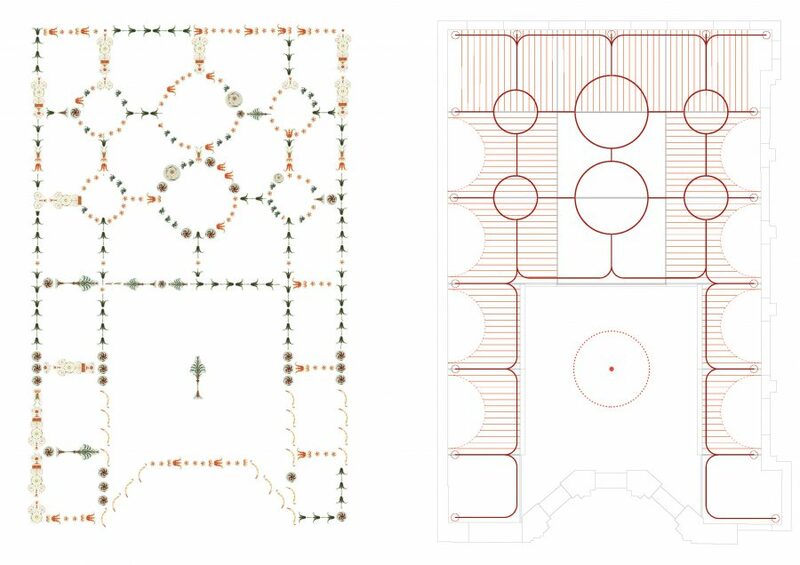 Taking as a starting point Adam’s neoclassical plant motifs, including on the ceilings of the Lansdowne House, we are proposing a layer of living plants, woven through slender rods and rings below the canopy of fins. 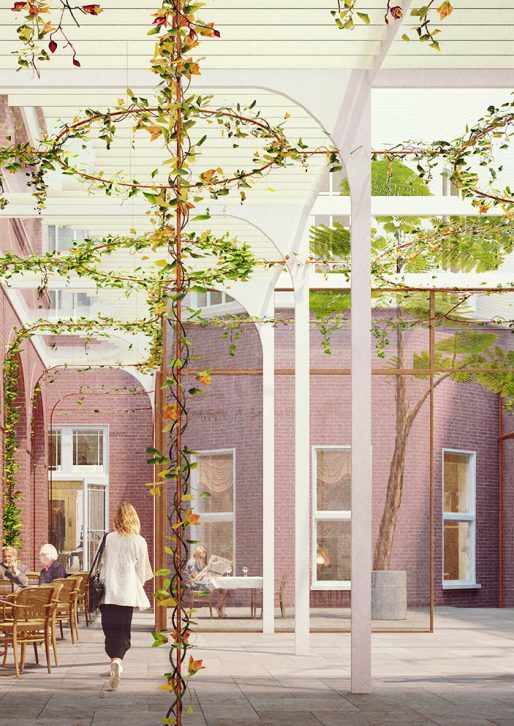 Rather than making a picture of nature, like in Adam’s depictions, we are proposing to grow an actual garden: a distinctive, compelling, elegant and evergreen canopy of plants occupying the ceiling. 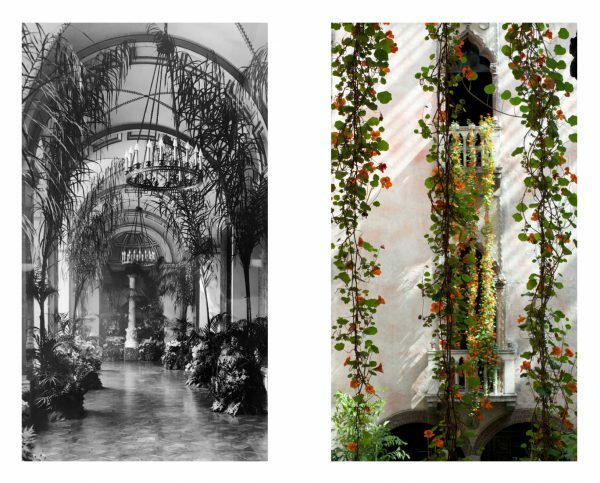 Carefully selected climbing plants will blossom from season to season, inferring Adam’s picturesque classicism in an original and transformative way. The light foliage will reduce noise and glare, improve air quality, and shade, scent and animate the courtyard throughout the year.